Home is where the heart is. In cities all over the U.S., this expression isn’t always realistic due to substandard housing conditions. We will explore the root causes of homelessness in a community by learning about different housing policies and talking with community members. We will help build stability and independence for low-income families. Our team will assist in eliminating substandard housing through constructing, rehabilitating and preserving homes, by learning about fair and just housing policies; and by providing training and access to resources for families in need. Being elderly, diagnosed with an illness or simply having lost your way in society comes with a stigmatized expectation of being incapable to work or provide for oneself. However, this is often not the case. On this trip, we will take a closer look at how to comprehend and de-stigmatize this issue and get familiarized with efforts being made to help people live on their own. We will focus on the societal interactions with people categorized as incapable of being independent while working with an organization that provides resources for people to be able to refocus themselves. Participants may not necessarily be in direct contact with the people, however, they should be ready to be understanding and ready to learn how such a stigma does more harm than illness or age. Change starts at home. In our own communities, towns, cities and countries, we struggle to achieve sustainable progress and leaders who serve their people. All too often, underserved communities are viewed through a deficit lens. This trip will attempt to deconstruct the common deficit mentality and understand the asset-based capacity-building efforts made by a small women’s institution. This institution helps women develop skills to enhance the scope of possible careers. In addition, through the entrepreneurial discovery process, women are also encouraged to create their own business plans and develop sustainable projects in their communities. Our work with this organization will mainly involve peer mentoring, tutoring and supporting these local female leaders continue their path towards developing their voice and creating change. During the year, we will analyze issues pertaining to the evolution of the gender gap world-wide and the effects of machismo on a country’s development, among other topics. The UNHCR defines a refugee as “someone who has been forced to flee his or her country because of persecution, war or violence.” The world is witnessing the highest number of displacement ever recorded in history. Currently, there are 68.5 million people forcibly displaced, 25.4 million of them being refugees. Less than 1% of world refugees are resettled annually into another country. Now more than ever, the issue of displacement and refugee crisis calls for our attention—and in particular attention to how the United States’ has or has failed to respond effectively to the crisis at hand. 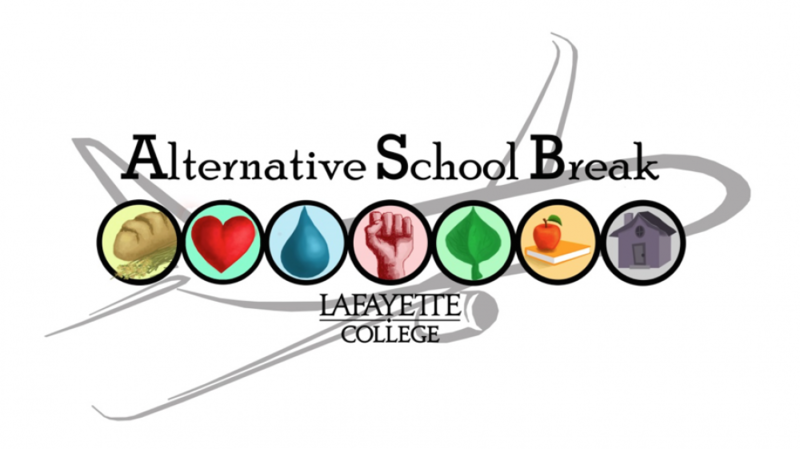 We hope to learn more about the root causes of the crisis, previous humanitarian actions to fight this, and ways we can currently help remedy this issue as well as bring light to how Lafayette as a campus can aid. The trip will focus on education, advocacy, and work with an organization that responds to the world’s worst humanitarian crises and helps resettle refugees in the United States. Participants will assist ESL classes, women’s literacy and childcare programs and youth education classes. Participants should be ready to be flexible in what areas they would like to volunteer and be ready to learn the best ways we can be advocates for refugees. Forty percent of children detained in juvenile detention centers end up in prison by the age of 25. We will focus on providing direct service to the children and teens within a juvenile justice facility in hopes to influence positive change in their lives. We will prepare various educational materials so we can develop background knowledge of mass incarceration and its problems in our country. In our direct service, we will travel to a prison community to volunteer with currently incarcerated individuals and provide education, support, and recreational activities. This trip will aim to increase awareness of the school-to-prison pipeline, and the culture of incarceration, within an educated, privileged, and capable population of young adults. We also aim to assist in disrupting the of cycles of incarceration for the children and teens we’ll meet. Native Americans are consistently some of the most impoverished people in America. They have significantly higher rates of alcoholism and suicide than the nation’s average. On this trip, we will be travelling to a Native American reservation that is one of the most impoverished areas in the United States. We will be helping where we are needed, whether it is rebuilding a house, building a community garden, or some other project. Additionally, we will build relationships with the people who live there and learn about the culture and history of the tribe. The goal is not only to provide aid through work projects, but also to begin to mend a long history of mistrust and mistreatment by having positive interactions.